-> You can capture your loving world with awesome 3D affect using cardboard or by simply tapping the screen. 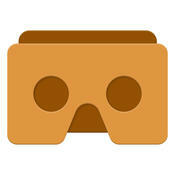 -> You can also see your captured image in 3D by using Google Cardboard or through Crossed Eye. Virtual Reality Dancing Girls is an augmented virtual reality experience.